Hello! Continuing with my catch up, today I finally have Decembers Meebox to share with you! Similar to Mani and Lola, this arrived before Christmas, so it's safe to say that this post is more than a bit late. But here we are! If you missed Novembers 'Through the Looking Glass' MeeBox, you can find my post here. 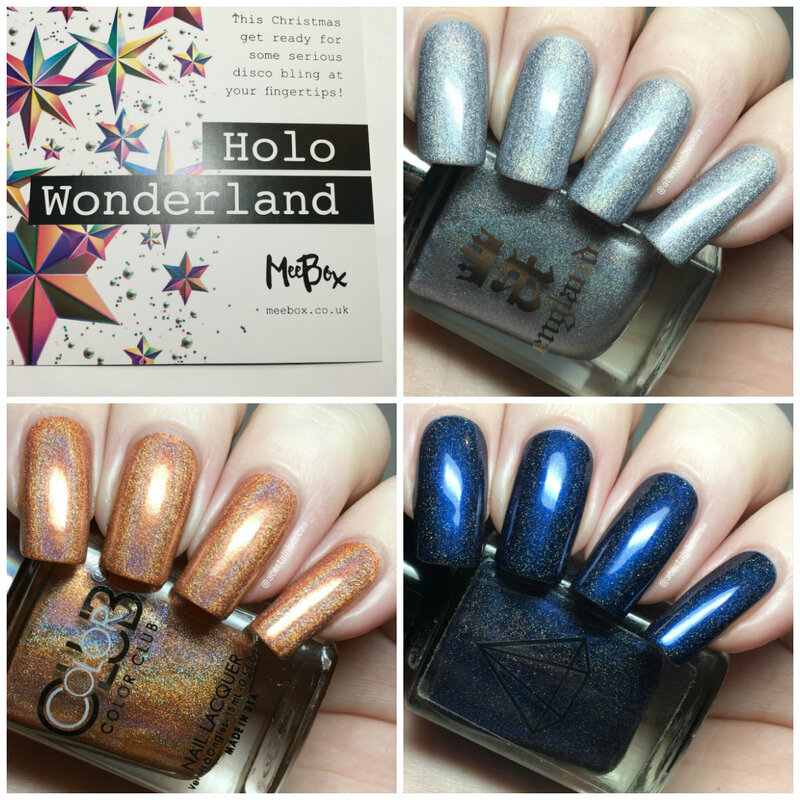 Decembers theme was 'Holo Wonderland'. Lets get stuck in! 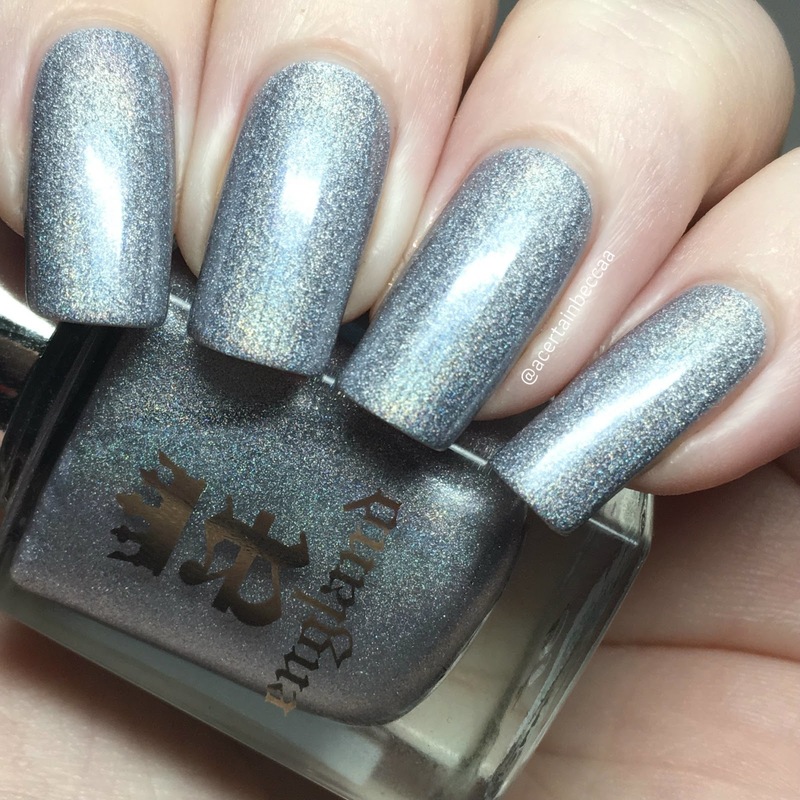 First up for polishes is A-England 'Carnation Lily Lily Rose', a silver linear holographic. The formula is smooth and easy to apply. I found I had some subtle patches after two coats (most likely due to overworking), so added a quick third to bring it fully opaque. Below is two coats with topcoat. 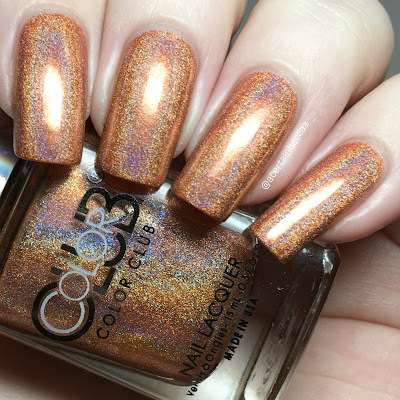 Next is Color Club 'Cosmic Fate' from the Halo Hues line, a coppery orange linear holographic. 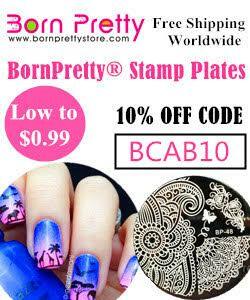 It has a lovely smooth, easy to apply formula. This was almost opaque on the first coat. I could just about see my nail line so added a second. You may be able to get away with one thicker coat. Below is two coats with topcoat. 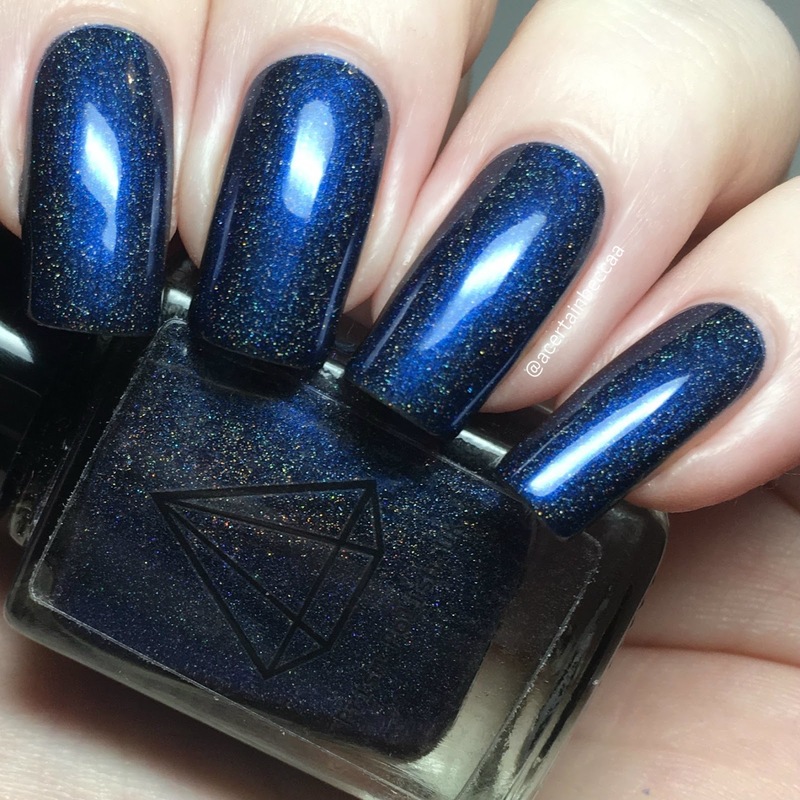 The third and final polish is Prism Polish 'Loyalty, Loyalty, Loyalty', a deep blue scattered holographic. This is my first polish from UK indie Prism, and was also an exclusive to MeeBox. The formula is smooth and easy to apply. It builds up well in two coats, although I added a third to build up a bit more depth. Below is three coats with topcoat. This month we were treated to a lot of extras. My favourite has to be a cuticle oil pen from NAF Stuff/NAF Salon in the scent Cinnamon Apple. I'd never heard of NAF until now, but this smells delightful and is very generously sized. What do you think? 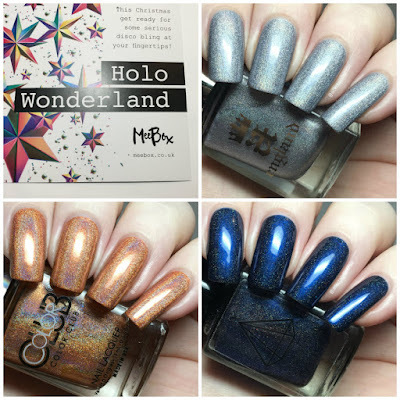 The MeeBox ladies promised us a 'Holo Wonderland', and that's exactly what we got! I can't fault any of the items in this box, and I've loved trying out goodies from new to me brands Prism Polish and NAF nails. I'll have some nail art to show you in my next post!